Columbus came, then Native Americans died. U.S. wanted land, U.S. took land. Sorry, were you using that land? You’re Christian farmers now. You’re welcome. Go West and steal Indian land. Settler greed led to Indian tragedy. The answers are poetic and poignant. They call out the United States’ mistreatment of Native Americans and exploitation of lands and resources. Although there are some exceptions—like “stolen land; broken treaties; still here”—the responses usually allow me to call students’ attention to two common themes. First, the actors in their miniature stories tend to be non-Indians. Native people play a passive role, acted upon rather than acting. Second, they’ve usually written tragedies. Their stories end in Native People’s destruction. They narrate decline. Lac Courte Oreilles Industrial Survey, Hayward File, Reports of Industrial Surveys, 1922-1929, RG 75, National Archives Washington, D.C., Box 17. My students’ answers mirror the dominant narrative about Native Americans in the United States. From mascots trapped in a violent but noble past to movies such as The Revenant where Native Americans ride off into the mist or fade as ghosts into the trees, we tend to tell stories about loss and decline, especially when talking about the late nineteenth and early twentieth centuries. This is the period historian Charles Wilkinson has called the “nadir” of Indian history. Even now, it’s easy to think of Native people’s experiences in tragic terms. Despite more than a year of highly visible protest and treaty-based legal arguments at Standing Rock, for instance, the Standing Rock Sioux Tribe lost their fight against the Dakota Access Pipeline. Oil churns beneath Lake Oahe, threatening Lakota water supplies and sacred sites every day. How is that not a tragedy? But these stories miss something important: Native Peoples’ active and dynamic persistence. There is a direct line of survival and sovereignty that runs from Columbus through removal and reservations to the protests at Standing Rock last year and current fights like the struggle against Enbridge Line 3 in northern Wisconsin and Minnesota. Our responsibility as historians—even non-Native historians—includes telling these stories. Of course, that means that we have to be able to see them. In his earlier post, Jacob Jurss defined sovereignty as “holding the supreme authority over a particular area.” Jurss presents a complex legal understanding of sovereignty in the context of United States colonial policy, and it’s a straightforward definition that bolsters students’ understanding of treaty rights and Native Americans’ role in American history. When sovereignty is only supreme authority, however, it becomes easy to miss the ways in which Native Peoples maintained their sovereignty throughout the nineteenth and twentieth centuries, even as the United States encroached on territory, resources, and cultural autonomy. In order to truly see sovereignty beyond courthouses and Congress, we have to understand sovereignty according Indigenous perspectives. For the Anishinaabe or Ojibwe People, sovereignty exists in relationships. When Michi Saagiig Nishnaabeg scholar Leanne Betasamosake Simpson asked Waashkigaamongki (Curve Lake First Nation) elder Gidigaa Migizi for the Ojibwe word for sovereignty, the closest he could think of was “Kina Gchi Anishinaabe-ogaming,” which means “the place where we [Anishinaabe] all live and work together.” Sovereignty exists in everyday relationships, not merely theoretical but carried out by generations of Ojibweg. Peoplehood, a theory developed by American Indian Studies scholars, illuminates the relationships that comprise Indigenous sovereignty—relationships with land, kin, language, sacred history, and ceremony. To recognize sovereignty in the midst of settler colonial destruction, then, we can look for the ways Ojibwe men and women carried their peoplehood forward. One of the examples that I use to illustrate the unbroken history of Native American sovereignty is the flooding of the Lac Courte Oreilles Reservation in northern Wisconsin to create the Chippewa Flowage in the 1920s. The 1854 Treaty of La Pointe formed the Lac Courte Oreilles Reservation out of the Anishinaabe homeland. The village at Pahquahwong (meaning where the river is wide) or Post gave the Ojibwe easy access to abundant wild rice and cranberries; deer, muskrats, ducks, and other game along the shore; muskellunge, walleye, and sturgeon in the river; and an easily navigable water system that connected them to other Anishinaabe settlements. They buried their dead along both banks of the river. In the 1920s, the state of Wisconsin, with federal approval under the Federal Power Act of 1920, built a dam on the Chippewa River, just south of the Lac Courte Oreilles Reservation’s eastern boundary. On March 29, 1923, the gates of the Winter Dam closed, and the water started rising, rushing toward the village of Pahquahwong weeks earlier than anticipated. It swamped manoomin beds as families ferried their belongings to dry land on canoes and makeshift rafts. Also at risk were the graves of more than seven hundred Anishinaabe relatives, which the Wisconsin–Minnesota Power and Lights Company had promised to relocate. Instead, relatives scooped up buckets full of mud and bones and moved as many of their kin to higher ground as possible. When the finally water crested the towering pines, nearly half of the reservation was under water. The new reservoir became known as the Chippewa Flowage, and non-Indians bought up the now-valuable land along the shore for hotels and vacation homes. From the edge of the rising waters, this seems like a standard declension narrative. However, using a series of primary sources including treaty documents, council minutes, and oral histories, I help my students trace the ongoing history of Ojibwe sovereignty. We start with the treaties Ojibweg made with the United States in the nineteenth century, which protected Ojibwe hunting, fishing, and gathering rights. 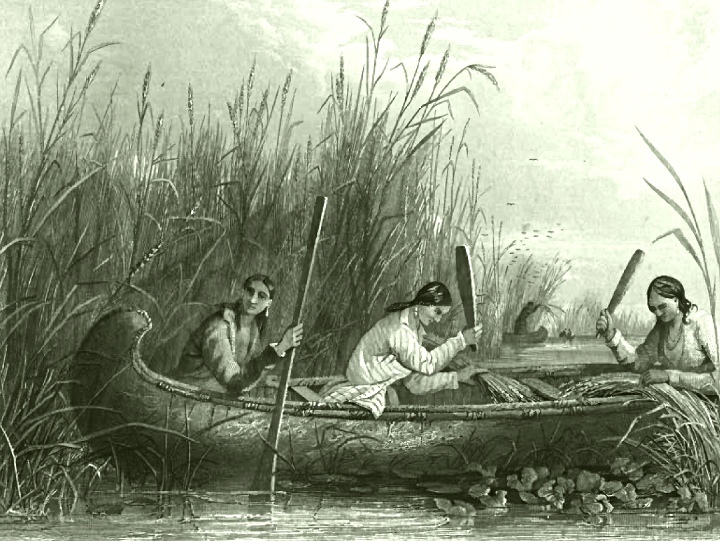 We read an 1864 petition, written in both the Ojibwe language and English, which reminds United States officials that the Anishinaabe never ceded their rights to their homeland and its resources, in particular the manoomin or wild rice. Together, we study transcripts from public meetings about the dam held between 1916 and 1925. At one meeting in 1919, ogimaa (leader) Anakwad or Peter Cloud spoke for the people living at Pahquahwong. He said, “You ask for the land I am living on at the Post. You came and asked for this and our answer was no, and it is still no till this day.” Michael Wolf explained his People’s refusal, appealing to Ojibwe ideas of kinship, sacred history, and place: “This has been the home of the Ojibwa, from time immemorial. He has learned to love this country for its wooded slopes and lakes and streams. Here he has reared his children with loving care; here, by the camp fire, he has listened to the sacred traditions of his people.” Ojibwe men and women established their sovereign relationship with the land through manoomin and their ancestors’ graves. The Ojibwe people articulated an expansive view of their own sovereignty that could not be swept away by rising waters or the countless other incursions by state and federal authorities. Ojibwe efforts to assert sovereignty through their relationships with the land did not stop when that land was underwater. The legal system failed them, but they continued to ferry their ancestors’ bones to new graves and find ways to carry on. When we discuss the oral histories, what stands out to students is how many elders mention eating and obtaining manoomin, fish, and other resources. Many Ojibwe fishermen worked as guides for non-Indian tourists who flocked to the flowage, continuing to make a living from the wooded slopes and lakes and streams that were his People’s since time immemorial. 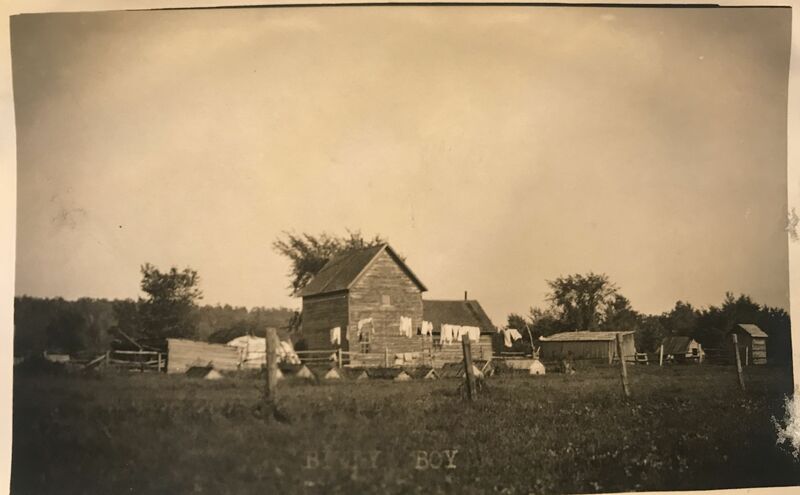 For instance, after the dam disturbed their ancestral rice beds, the Mike family from Lac Courte Oreilles moved their rice camp to Nelson Lake, north along the Chippewa River and away from the effects of the dam. Edward Barber, born in 1917, recalled that manoomin “played a significant role” throughout his life, and that he and his brother Louis riced together as long as their bodies let them. Barber, the Mikes, and other speakers also talk about ongoing pressures from the state of Wisconsin and the federal government—arrests for violating Wisconsin game laws despite treaty protections, empty bellies, environmental contamination. But the men and women of Lac Courte Oreilles never stopped living and working in their homeland. For the Ojibwe, the Chippewa Flowage is not a vacationer’s paradise. It remains their homeland, the site of an ongoing exercise of Ojibwe sovereignty. Their answer was no. Still no. Waters rose, but so did Ojibwe. Keep calm and harvest wild rice. Native America: fighting back since 1492. Jacob C. Jurss, “Sovereign Nations: An Introduction to the Nation-to-Nation Treaty Relationship between the United States and American Indian Tribes,” The Panorama, Journal of the Early Republic, Oct. 17, 2017, http://thepanorama.shear.org/2017/10/17/sovereign-nations-an-introduction-to-the-nation-to-nation-treaty-relationship-between-the-united-states-and-american-indian-tribes/. Leanne Betasamosake Simpson, “The Place Where We All Live and Work Together: A Gendered Analysis of ‘Sovereignty,’” in Native Studies Keywords, ed. Stephanie Nohelani Teves, Andrea Smith, and Michelle Raheja (Tucson, AZ, 2015), 18. Minutes of the Lac Courte Oreilles Tribal Council Meeting held at Reserve, Wisconsin, Dec. 9, 1916, Decimal Correspondence, Hayward Indian School, RG 75, NARA Chicago. Quoted in Charlie Otto Rasmussen, Where the River Is Wide: Pahquahwong and the Chippewa Flowage (Odanah, WI, 1998), 11. Sara Balbin, James R. Bailey, and Thelma Nayquonabe, eds., Spirit of the Ojibwe: Images of Lac Courte Oreilles Elders (Duluth, MN, 2012), 118. Margaret Huettl is Assistant Professor of History and Ethnic Studies at the University of Nebraska–Lincoln.